The mysterious Nazca Lines, covering a vast area in Peru’s Pampa de San Jose, draws curious travelers for an interesting plane tour in Peru’s south coast in South America. Covering a vast area in the Peru’s Pampa de San Jose, the mysterious Nazca Lines has drawn curious travellers and adventurers to this desert in South America for more than a century. Discovered in the early part of the 20th century by Peruvian archaeologist Max Uhle, the Nazca Lines was declared a UNESCO World heritage site in 1994. The Lines were studied extensively from the late 1930s by Maria Reiche, a German mathematician and archeologist. 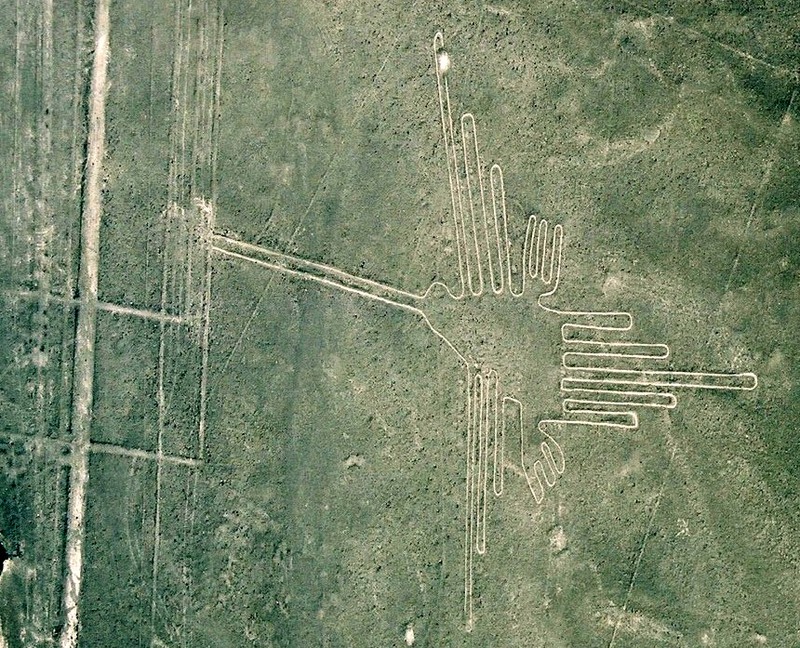 Reiche, who died in 1998, wrote a book on Nazca Lines, The Mystery in the Desert. 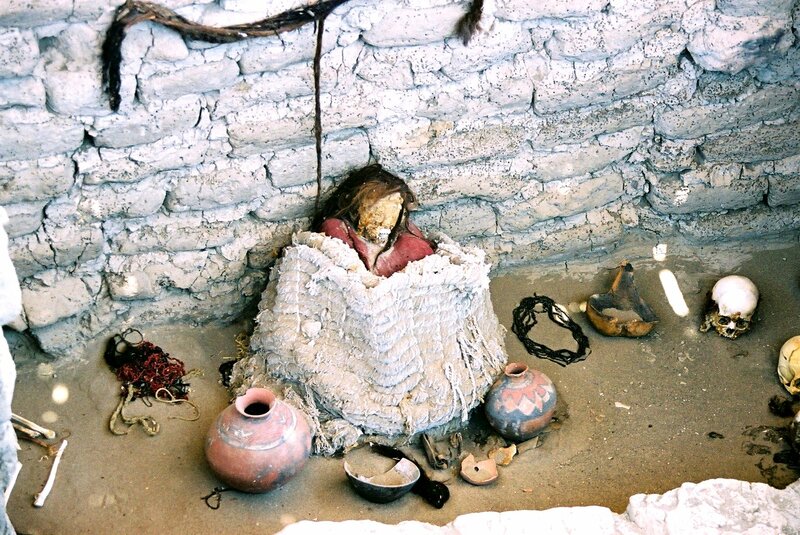 No one knows for sure what the enigmatic shapes signify, but most agree that the Nazca people, who flourished in this region from 200 BC – 800 AD, probably used the etchings as part of their religious rituals. The figures and shapes were created by removing the top layer of darker coloured rocks, which exposed in contrast the lighter layer of rock below. The huge geoglyphs etched into the desert, including stylized forms of plants and animals (like a monkey, a spider, and a condor with a 130 m wing span), and geometric shapes and lines, can only be properly viewed from a great height, as from a tower or a plane. This has caused many to wonder how the ancient culture could have had the technology to create such drawings. Because some of the shapes include long trapezoids two kilometers in length, author Erich von Daniken speculated these lines were in fact landing strips for alien spacecraft. The city of Nazca, 450 km south of Lima, is the home base for exploring the Nazca Lines, and other archeological sites in the area. Tours for the site are offered from Nazca and Lima. Some package deals include an overnight hotel stay, a guided 40 minute Cessna tour, tours of ancient Nazca sites like Chauchilla Cemetery, and the Nazca Ceramic Workshop. Reliable tour operators include Alegria Tours, and Nazca Trails’ Juan Tohanilo Vera. The tour begins early in the morning with a short ride to the Nazca airport, four kilometers from town. After handing travellers a little map and guide, the pilot of the single engine Cessna gives a little safety talk, quickly starts his engine, ambles the plane down the short take off strip, and in a few moments, bears aloft two to five people over the dry, windless desert. Agile tourists jockeying for position inside the plane can get some good photos of the condor, hummingbird, trapezoids, lines, and other strange shapes. As the adept pilot flies the tiny plane, he dips and veers back and forth, up and down, over the landscape, as he directs passengers’ attention to significant drawings. People who are queasy about this sort of thing should realize this may not be for them. A visit to Chauchilla Cemetery, the Cahauchi pyramids, currently being excavated, and the Museo Arqueolgico Antonini in Nazca, are all worthwhile. Please note: some assaults and robberies have been reported in the area lately.